About the Story: Duncan Mackay will do anything to lift the curse from his family — even forfeit his own life. But his plans change when he encounters the woman from his dreams, literally. She is from the future, somehow has his lost sword, and can talk to the Dragon that is able to lift his family’s curse. Brigid O’Neill has spent her life listening to the mythological legends from Ireland and Scotland. So, when an ancient sword lands at her doorstep and she starts dreaming of a rugged Highlander, she drops everything and takes on a quest that will alter everything she believes. Before their journey ends, not only will Duncan and Brigid battle an ancient curse, they must also find the courage to believe in the destiny that brought them together. My Thoughts: Frankly, this book was so much fun on several fronts. I love medieval history and when combined with time travel, magical happenings, along with the fae and a sweet romantic story simply was a heady mix! Their five relics were taken from the Order–the sword, stone, axe, shield, and book, each bonded with a knight. Each knight still had his mystical powers. Duncan could not control his anger and for one year he grieved his sister’s death and lived with such hate. His power affected the weather. His foul mood brought rain, thunder, and heavy winds. He thought perhaps the curse could be reversed. What if he were to give his life to return all back to the clan? 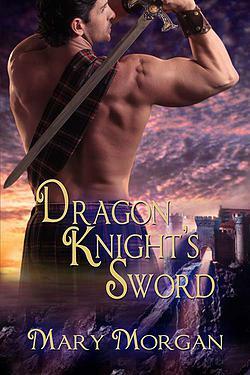 Brigid had been dreaming about a Highlander making passionate love to her ever since she received the sword. She hears a voice telling her to bring him the sword. By this time, I’m all excited in the direction this story is taking. Brigid decides rather quickly to go to Scotland to find its rightful owner and give it back after she discusses the situation with her old professor from the university. (He just may be something more than he appears) All is arranged, her professor even finds her a guide who picks her up from the airport. I loved Brigid’s spirit, humor and bravery even when she finds herself hurled back into time after a much hurried message from her guide, Conn. I felt her displacement into the ancient world with her mutterings and outrageous language in our present-day slang, making me chuckle, and making Duncan think she was daft! 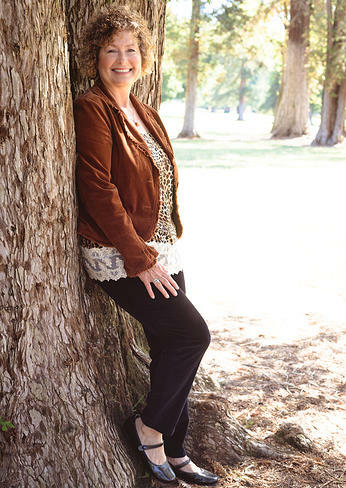 Duncan MacKay finds his way through his pain and anger and learns valuable lessons from Brigid. They have an attraction each try to deny, but magic plays its part and love for all time spans 800 years. Sigh. There were many secondary interesting characters which will probably continue throughout the series. At least, I hope so. The children, Nell and Finn, were absolutely precious and brave. Nell has a special talent for animals and I adored the grey wolf who knew how to pay his debt. Sorcha, the falcon was delightful and loyal. I know that two druids, Cathal and Lachlan, will certainly be there. Both played very interesting roles within this story. Then there was Conn, the handsome time travelling Fenian Warrior. He always seemed to be in the right place at the right time. I hope we see him again. Secretly, I hope Lisa, Brigid’s friend, will find her way back to join Brigid. But can she believe enough in magic? All in all, this was one truly remarkable read. I loved EVERYTHING about it. Mary Morgan transported me into a magical world where honor and love surpass all. She made it so real, I didn’t want to come back! This entry was posted in Book Reviews, Historical Romance, Medieval Romance, Paranormal, Paranormal Romance, Romance, Romantic Suspense, Supernatural Suspense, Women's Fiction and tagged Book Review, Mary Morgan, Medieval Romance, Scotland. Bookmark the permalink. 1 Response to Review: DRAGON KNIGHT’S SWORD by Mary Morgan ~ a totally delightful read in every way! Eileen..thank you for sharing your blog..well..the way, that you describe this story, I can feel it ‘s totally romantic, mysterious and attractive, I will include it, in my next book to read.